Scrumptious pumpkin spiced nuts. 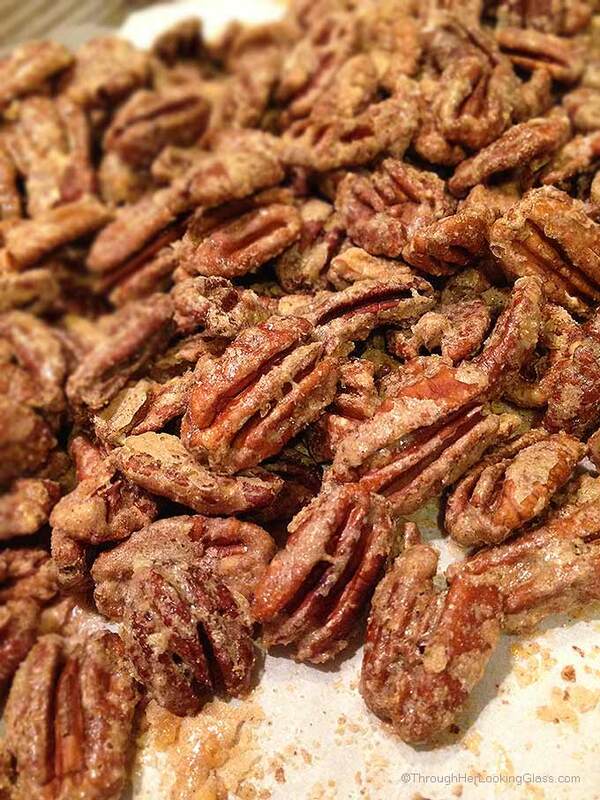 These babies are addictive, crunchy, sweet spiced nuts, perfect for the season: Pumpkin Spice Sugared Pecans. Easy to make, they mix together in five minutes and bake for an hour and a half. As fall settles in, I so look forward to the yummy kitchen aromas that accompany fall baking. Apples, pumpkin and spices are what I’m craving these days. Haven’t made the first apple or pumpkin pie around here yet, but it won’t be long. I’m hosting Thanksgiving for my extended family this year, so today I’m thinking about Thanksgiving Day nibbles and edible Christmas gifts. I love filling baskets with homemade goodies at Christmas time. 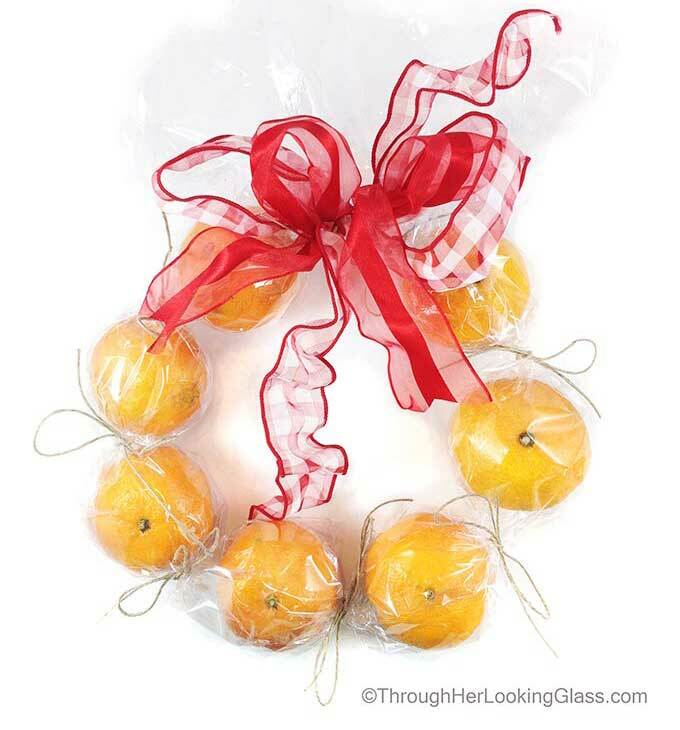 Do you make gift baskets for friends and family? I often fill them with fruit, jams, jellies, maple syrup, cookies or spiced nuts. Making edible gifts can really cut down on gift giving costs, and they make a beautiful presentation and bring lots of joy to the receiver. Here are some other ideas for homemade edible gifts. If you love sugared pecans and pumpkin pie, you’ll love these candied nuts. A little bowlful of Pumpkin Spice Sugared Pecans are tempting on the hors d’oeuvre or cheese tray and make a beautiful presentation with fresh fruit. These spiced nuts are a crunchy topper for ice-cream or cheesecake. Gourmet sprinkled on salads. Seriously, I have to hide ’em around here. They disappear that fast! These are so easy to make. Just dump the nuts in a big mixing bowl. Stir with egg whites until the nuts are fully coated, then stir in the sugar and spices. Bake for an hour and a half. Cool completely and enjoy! A wonderful, easy fall treat. Great for snacking, sprinkled on salads and desserts. Perfect for gifting. OMG i might have to make these as gifts! such a great idea and recipe YUM! Mmm, I bet these are great warm out of the oven... and make the kitchen smell wonderful! This is such a fun Fall treat! Wow. 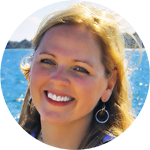 so good and so easy--I know so many people who would love these as gifts! I love making spiced/sugared nuts. It is such an easy thing to take to a get together and most other people don't think of it. Great recipe! I will fix these & add to Christmas gift basket. Thanks for this recipe. Hey Allie, you know what I like more than GIVING homemade treats and eats for Christmas? I know you are waiting with bated breath - but I like GETTING them homemade treats more! :) I totally negate the whole reason for the season with my thinking eh? 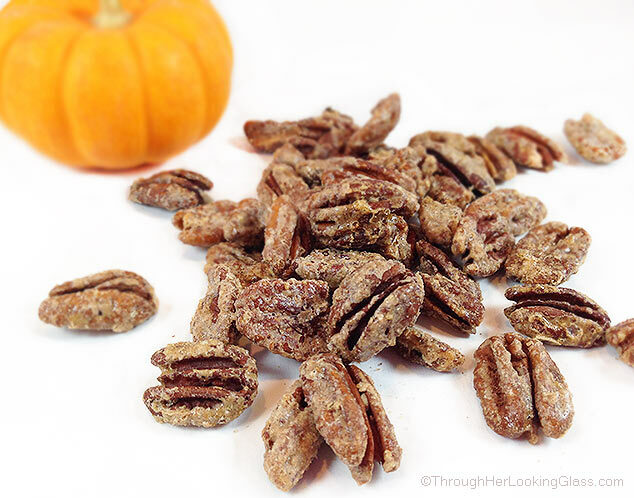 Seriously am just joshing - Seriously, these pumpkin spiced sugared pecans are perfect for gift giving and snacking -I will have to work on the whole "giving" thing a bit harder, but I have the "snacking" down pat! Happy Monday sweet friend! I love candied pecans! You can add it to anything and it will simply turn delicious so I can imagine so many uses for this and great as a gift, too! 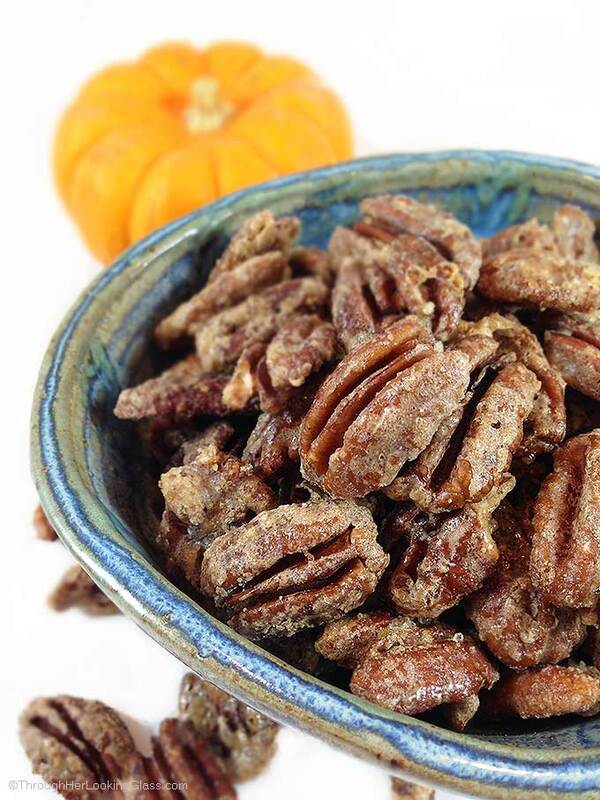 I love pecans...and I love the idea of spiced, sugar pecans! These look amazing! This is such a unique twist on sugared nuts- Festive, delicious and I reckon perfect for stuffing stocking...for myself. Gosh - I want some of these right now! Haha. Sugary pecans from the bowl. Yum!! These look fabulous! What an incredible looking Fall treat my dear friend. I bet my daughter would love to munch on these. and they look super gorgeous for a festive gift! Can't wait to try these! How long can these be stored (maybe in a vacuum food saver bag)? I want to mail them to deployed family member but mail takes 10-18 days usually. Anyone, had them stay fresh that long? Oh wow! These look so yummy!!! Hi Allie, These look awesome... I look forward to making them! I usually bring a cookie plate with 3 or 4 different kind of cookies for our relatives close-by and friends. Last year I included cashew brittle.... maybe these sugared nuts this year? Thanks so much for the recipe. I hope you and your family are adjusting well in your new home and neighborhood, and ENJOY the holidays! OOops, Nope, I made used your 'Sugared Pecans' last Christmas for gifts... My husband and I loved them! Thanks, again! Candied nuts are such a classic holiday snack, made all the more perfect through the addition of pumpkin spice! These look fantastic! Luci’s Morsels | fashion. food. frivolity. Homemade presents are always such a good idea, I try to include some every year. The sugared pecans sound delicious! So..I have a confession... while these make insanely wonderful gifts this holiday season - these are just as wonderful to make year round and snack on! Yasss!!!! Hope you have a wonderful weekend and -in case I don't get to tell you in the next 2 weeks - hope you and your fam have a very happy Thanksgiving! Une délicieuse recette qui sent bon l'automne, une super idée à préparer pour les fêtes de Noël, bisous Allie,belle semaine!